Bills Haywain, painted in 1974 from a prison cell on the Isle of White. on HMP bed sheet. He was placed on governors report for damaging government property. In a moment of rage, his foot ripped a hole through it. 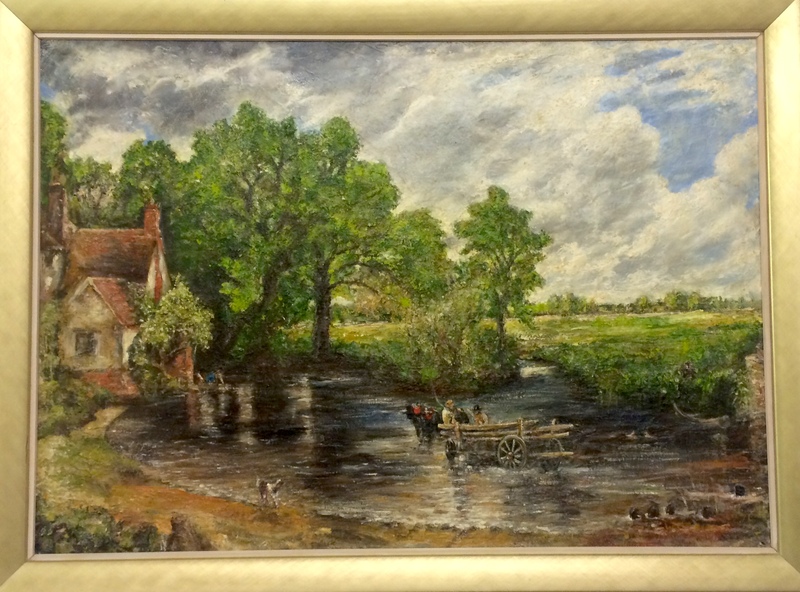 (the original Haywain was also attacked in the national gallery in 2013). He discovered a postcard of the original painting in the prison library, and saw project as a challenge. Bills version lay dormant rolled up in his cupboard. until last month when he finally decided to restore it. Seeing its restoration as catharsis. Both are now on display, one in the nation gallery, the other in the ten feet away art group at the union chapel.